Everyday there is a story of a child abducted by an online predator. Does your child understand the risks and threats of posting online? The InfraGard Huntsville Member Alliance Cyber Forensics Camp demonstrates what happens in a kidnapping scenario, the tools the FBI uses to collect information and clues, and explains the importance of being safe online. Each station is manned by FBI Special Agents and the tools they use to gather clues to find the missing child and the online predator. 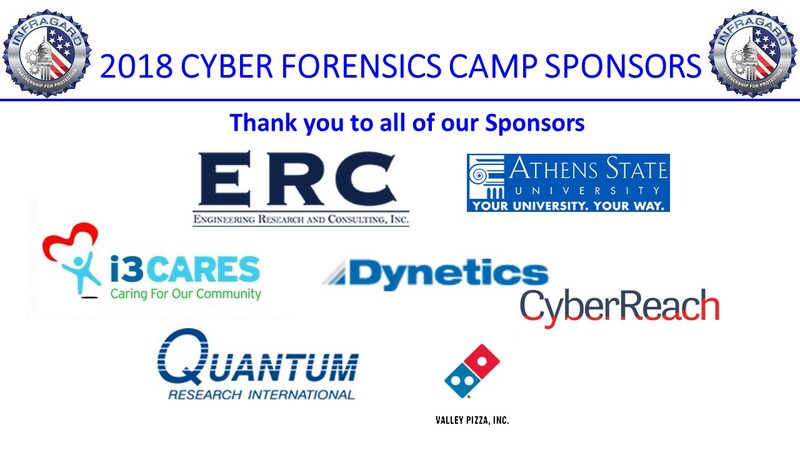 Cost: $50 per child, includes the camp, InfraGard Cyber Forensics Camp t-shirt, pizza lunch, and snacks! This event is limited to 50 participants so Register Early! Registration is from May 16th through June 30th! This event is open to middle-school students ages 11-14 with parent’s approval.